It’s spring time, and that means the snow is melting! On an even more exciting note, that means the main camping season is almost upon us! We know it’s been a while since you’ve probably thought about RVing, or what the condition your RV might be in after a cold winter, so we’ve compiled a checklist for you to start de-winterizing your RV. Keep in mind as we move forward that this is basically a reversal of your winterization process, and there will be things that you may have done that will need more attention than what we provide. This is just a list to get you started! Make sure you cover all your bases, although it shouldn’t be too difficult. This involves making sure that you run a potable water through the whole plumbing system, making sure that all antifreeze has been removed. This is to protect any of the water system from freezing (which we don’t want!). After that, reinstall any of your water filter cartridges that you may have taken out from before the winter began. Run fresh water through all of the plumbing system, which includes the exterior shower, toilet, and ice maker. Take the water heater out of the “by-pass” mode, if applicable. If the water heater wasn’t bypassed, the antifreeze needs to be drained from the water heater tank and collected in a container. The antifreeze that was in the plumbing system is now in the gray and black water holding tanks and will need to be emptied, so taking your RV to an emptying tank will be important. You’ll want to make sure that you water system is safe to use, so sanitizing your system is the next step! Ensure that all of the drains are closed and drain plugs are installed. You’ll want to use a quarter-cup of household bleach for every fifteen gallons of water that your fresh water tank holds. Next, mix the bleach with the water and pour it into the fresh water holding tank. This will clean out the system in no time! This is something that if you don’t have a thorough knowledge of, then finding help from our RV Service would be a great way to start. Your batteries should be in great condition if the winterization process was done correctly. When batteries are in storage, they lose a percentage of current through internal leakage, so checking them regularly during the winter months was the best way to do that! If not, the first step is to fully charge the batteries. Water should only be added to lead acid batteries after fully charging the battery unless the water level is already below the plates (the plates need to be covered at all times). After the batteries are fully charged, it’s time to check and add distilled water, if needed. Tires lose some air pressure while they are in storage, as well. This shouldn’t take too long to do, but because they may have lost pressure, you will want to check it using a tire inflation gauge and then adjust that pressure based on the load. Of course, there are other things you can do to de-winterize your RV, but we wanted to list a few of the basics for you. 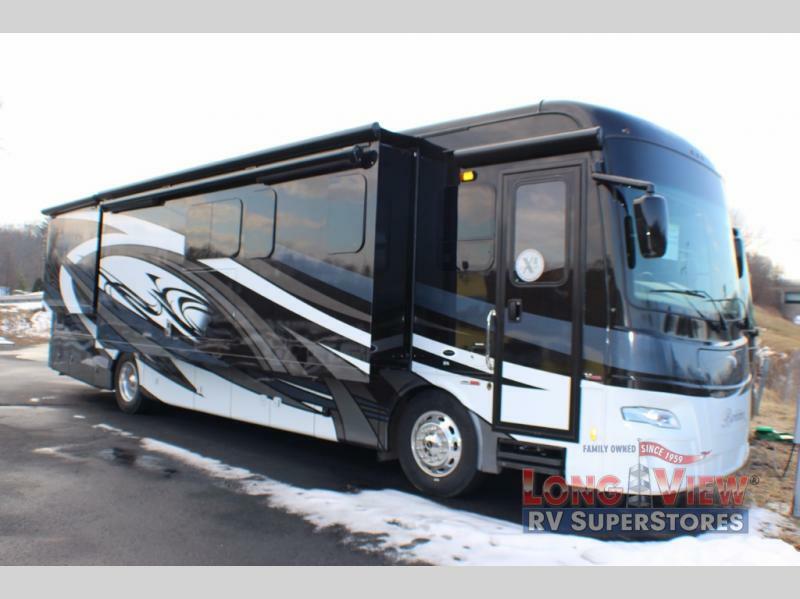 If you’re not interested in de-winterizing and are looking to join the RV lifestyle, please check out our new RVs for sale. We hope that RV Tips: De-Winterize Your RV was a help! Hurry up and get your RV de-winterized, as the summer is coming fast!